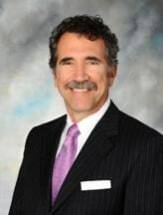 Dominick J. Graziano received his Bachelor of Science degree in Biology and his Bachelor of Arts degree in Philosophy from the University of Toledo in 1980. He was awarded his Juris Doctorate degree in 1983 from the University of Toledo College of Law, where he served as Executive Editor of the Law Review. Upon graduating from law school, Dominick associated with the Toledo firm of Marshall & Melhorn. In 1990, Dominick became a partner with the Tampa office of Honigman Miller Schwartz and Cohn, and in 1992, founded the Tampa firm of Hearne Graziano & Nader as a shareholder. He joined Bush Graziano Rice & Platter, P.A. as a shareholder in 1999. In 2012, Dominick became "Of Counsel." Dominick has litigation experience in state and federal courts, and in administrative proceedings under state and federal administrative procedure acts. He is rated "AV" by the Martindale-Hubbell Law Directory. Dominick has handled litigation involving environmental cases, intellectual property, toxic torts, inverse condemnation claims, defense of EPCRA enforcement actions, civil and criminal securities actions and class actions. Over his career he has made local and national presentations on environmental law and litigation for the Florida Bar and American Bar Association. Dominick served as a Commissioner on the Appellate Court Performance Standards Committee for the National Center for State Courts from 1994 to 2000. He served as a member of the Hillsborough County Industrial Developmental Authority from 1996 until 2008. Dominick was nominated to the Florida Super Lawyers list for 2008, 2009, 2010 and 2011. He has also been recognized as a ‘Top Rated Lawyer for Energy, Environmental & Natural Resources Law' by The American Lawyer. He is a member of the Florida Bar (Litigation, Administrative and Environmental and Land Use Law Sections), as well as the American Bar Association (Litigation Section).